Ghana needs to adopt new domestic legislation to make it unlawful for law enforcement officials to use firearms purely to protect property or stop unarmed prisoners or criminal suspects from escaping. No person shall be deprived of his life intentionally except in the exercise of the execution of a sentence of a court in respect of a criminal offence under the laws of Ghana of which he has been convicted. 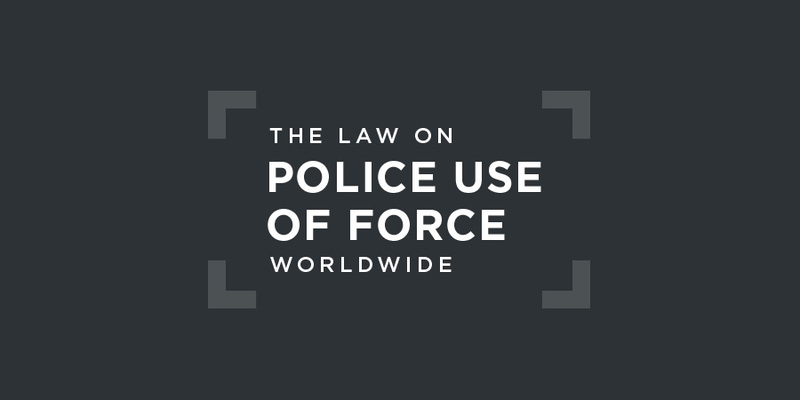 Legislation governing police use of force is contained in a series of longstanding laws and regulations: The 1960 Criminal Procedure Code, the 1960 Criminal Code, the 1970 Police Service Act, and the 2012 Criminal Offences Act. Ghana also has separate regulations for police use of force: Police Force Regulations 1922 (No. 7). Whoever by law may, with or without warrant or other legal process, arrest and detain another person may, if the other person, having notice or believing that he is lawfully arrested, avoids arrest by resistance or fight or escapes or endeavours to escape from custody, use any force which is necessary for his arrest, detention, or recapture, and may, if the arrest is made in respect of a felony, kill him, if he cannot by any means otherwise be arrested, detained, or retaken. This provision allows intentional lethal use against an unarmed felon, which would be a serious violation of international law. For the prevention of, or for the defence of himself or any other person against any crime, or for the suppression or dispersion of a riotous or unlawful assembly, a person may justify any force or harm which is reasonably necessary extending in case of extreme necessity, even to killing. (1) Save as provided by this section, no prison officer shall use force, or any weapon, against a prisoner. (2) A prison officer may use such force against a prisoner as is reasonably necessary to make him obey a lawful order which he has refused to obey or in order to maintain discipline. (b) a firearm shall not be used against a prisoner unless the prison officer has first given a warning to the prisoner that he is about to fire upon him and such warning goes unheeded. (4) A prison officer may use a weapon against any prisoner- (a) who is using violence to any person, if such prison officer has reasonable ground to believe that such violence is likely to cause grievous harm to that person; or (b) who is engaged with others in riotous or threatening behaviour and refuses to desist when called upon. (5) Notwithstanding the provisions of subsections (3) and (4) of this section, no prison officer shall use any weapon against a prisoner in the presence of his superior officer except under the orders of such superior officer. (6) The use of any weapon under this section shall, as far as possible, be to disable and not to kill. In Ghana, there is no fully independent, specific police oversight body. The Inspector-General of Police as the head of the Police Service is directly responsible for the operational control and administration of the national police. Referrals for disciplinary action are forwarded to him by the Police Intelligence and Professional Standards Bureau. The external Police Council also has the power to recommend disciplinary action for police officers. Regional Police Committees advise the Police Council on any matter relating to the administration of the Police Service in a specific region. Ghana's Commission for Human Rights and Administrative Justice is mandated to consider complaints of human rights violations by a public official, including a police officer. that no statistics or information on prosecutions of perpetrators and compensation to victims has been provided. It also regrets the lack of information on measures taken to prevent those violations, including measures taken to bring the regulations on the use of lethal force into compliance with the State party’s obligation under article 6 of the Covenant. It notes with concern that the mechanism to investigate police abuses is not fully independent, as complaints against police officers are investigated by fellow officers.Human Rights Committee, Concluding Observations on Ghana's initial report on its implementation of the ICCPR, UN doc. CCPR/C/GHA/CO/1, 9 August 2016, §21. establish an independent mechanism to carry out investigations of alleged misconduct by police officers. The State party should also take measures to ensure that the law and practice are in accordance with the Basic Principles on the Use of Force and Firearms by Law Enforcement Officials.Human Rights Committee, Concluding Observations on Ghana's initial report on its implementation of the ICCPR, UN doc. CCPR/C/GHA/CO/1, 9 August 2016, §22. There have been no recent cases concerning police or prison officer use of force before the African Commission or African Court of Human and Peoples' Rights. In a 2016 academic article, Francis D Boateng and Isaac Nortey Darko assert that police brutality in Ghana is "endemic", occurring "on a regular basis". They further claim that the "eating of suspects during arrest and interrogation, and manhandling innocent citizens uring demonstrations are common practices among police personnel in Ghana". They ascribe these problems primarily to a hangover from the former British colonial regime.